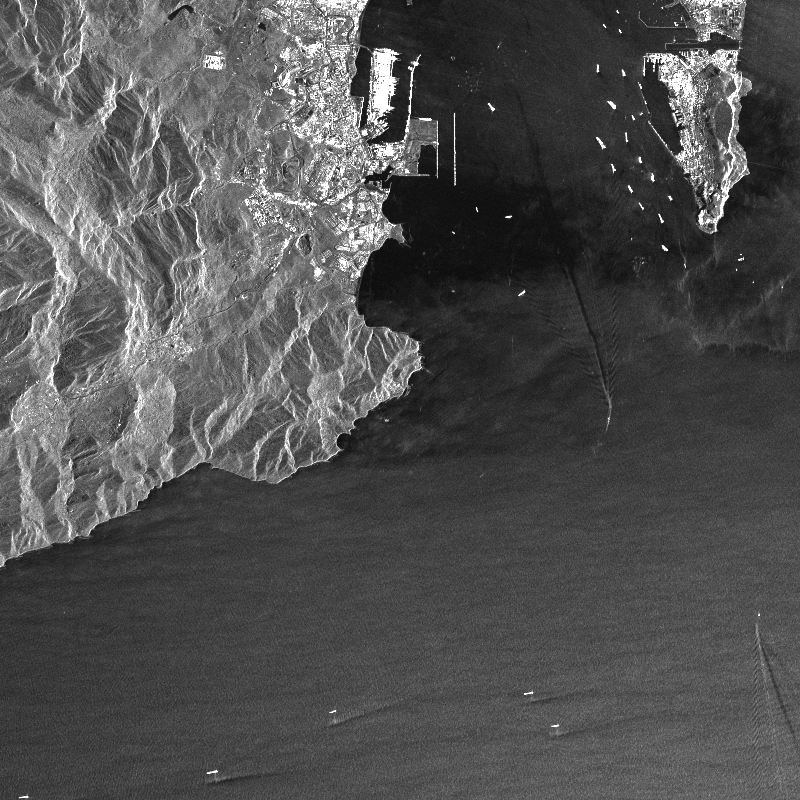 TerraSAR-X StripMap Acquisition of the Straight of Gibraltar recorded on 12. Mai 2008. The ground resolution of the image is 3m. Radar imagery can provide detailed information for contiuous, wide-area ship detection and tracking. The data does not only provide information on ships and vessels present in the Area of Interest but can also deliver detailed information on ship characteristics such as position, dimension, heading and velocity.